Handpainted ceramic fish platter imported from Thailand. Each piece is painted by hand using a traditional design unique to Thai artisans. Intricate design and highly functional. 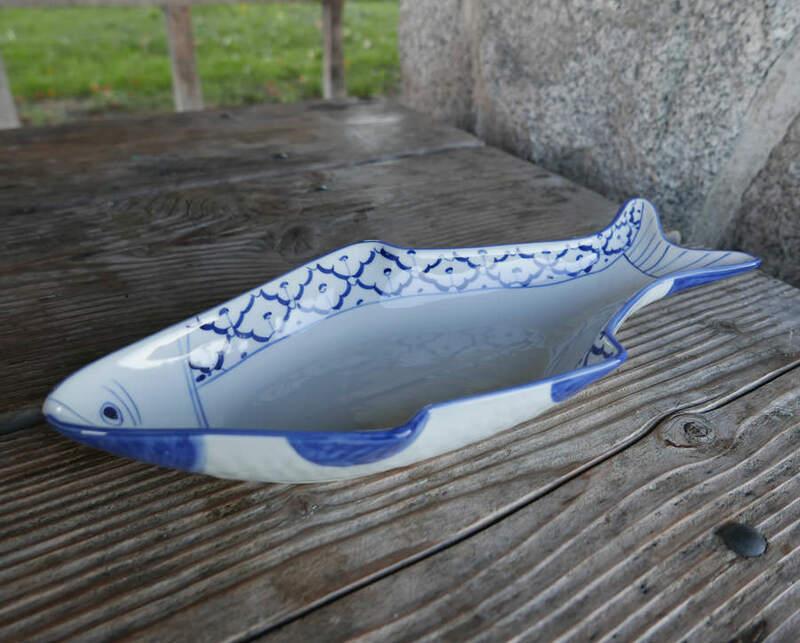 This fish platter is perhap the most useful in our selection of Thai ceramics, as you can cook fish on the platter in the oven or, as we often do in our home, cook fish on this platter in our toaster oven. We sell a lot of these during the holiday season, as people use this platter as a base, with other food gifts wrapped on top. Approximately 15" long, 7" wide and a generous 2" deep. Certified for use in microwave or conventional oven, as well as dishwasher-safe.